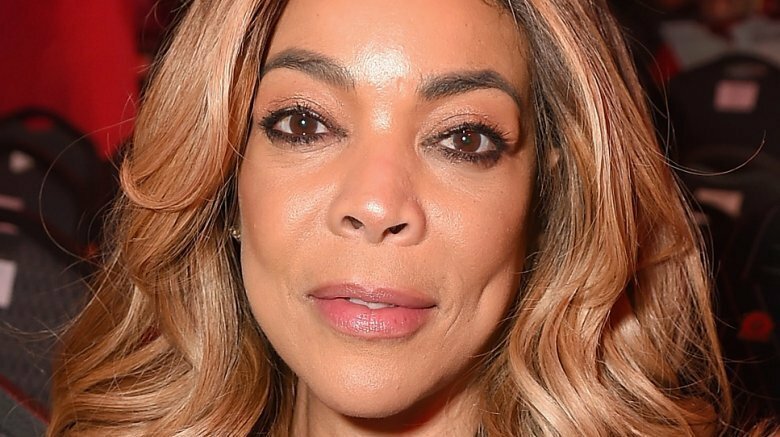 Wendy Williams is sharing new details about her recent health struggles. According to Page Six, The Wendy Williams Show host opened up about her Graves' disease diagnosis in a video message for the Graves' Disease & Thyroid Foundation 2018 Patients and Family Conference, which took place in mid-June. "Everything was fine," she began, noting that she'd been managing her symptoms ever since being diagnosed with both the autoimmune system disorder and hyperthyroidism nearly 20 years ago. "I had the radioactive iodine [medication], taking my pill a day, minding my own business." However, her health complications returned last summer because she was no longer on the correct dosage of medication. Things came to a head in October, when the talk show host infamously passed out during a taping of her show. Since then, as Williams said, "Life has completely changed." As Nicki Swift previously reported, the 53-year-old was forced to take time off from her show in February 2018 due to serious health issues stemming from her illnesses. "My doctor has prescribed — are you ready? — three weeks of vacation," Williams, who had not missed a day of work since premiering her show in 2008, told her audience at the time. "I was pissed. Encore performances, really?" Having already been forced to cancel three tapings due to "flu-like symptoms," the television personality admitted that she had to be convinced to take this time to focus on her health. Upon her return in late March, Williams encouraged her viewers to make their own health a priority. "Go to the doctor, get that checked out," she advised. "That manicure and pedicure can wait." Thankfully, Williams is now on the right dose. However, it may be a while until she's feeling 100% again. As she said in her recent video, "The doctors tell me it's going to take at least six months — maybe a year — to level off my medication." Williams isn't the only celeb to recently open up about her health. Modern Family's Sarah Hyland, who suffers from chronic health problems stemming from her lifelong battle with kidney dysplasia, revealed this week that she's returned to work following her recent hospitalization.